School Education Dept. 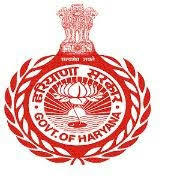 Haryana Jobs Recruitment Notification 2018.School Education Department of Haryana inviting applications for the positions of TGT, PGT and Principals to work in Aarohi Model Schools.Interested and Eligible candidates can apply for the positions. Number of vacancies to be filled in different subjects in Aarohi Model Schools Haryana, School Education department Haryana is 240. For subject wise vacancies contenders can go through official website. Candidates those who are Ph.D/ PG/ Graduation/ B.Ed holders with minimum post qualification experience can apply for this job notification. Mode of applying for School Education Board of Haryana Recruitment through offline. 24th September 2018 is the last date to apply. http://schooleducationharyana.gov.in/ is the link to download application form and send to below given address.